Today, these desirable, deeply embossed designs continue to bring an added dimension to interiors the world over. From country residences and modern urban living places to the very best hotels. We are proud to be part of the Lincrusta family and have been approved certified installers for these wall-coverings for 0ver 10 years, throughout Nottinghamshire, Derbyshire and various other parts of the UK. 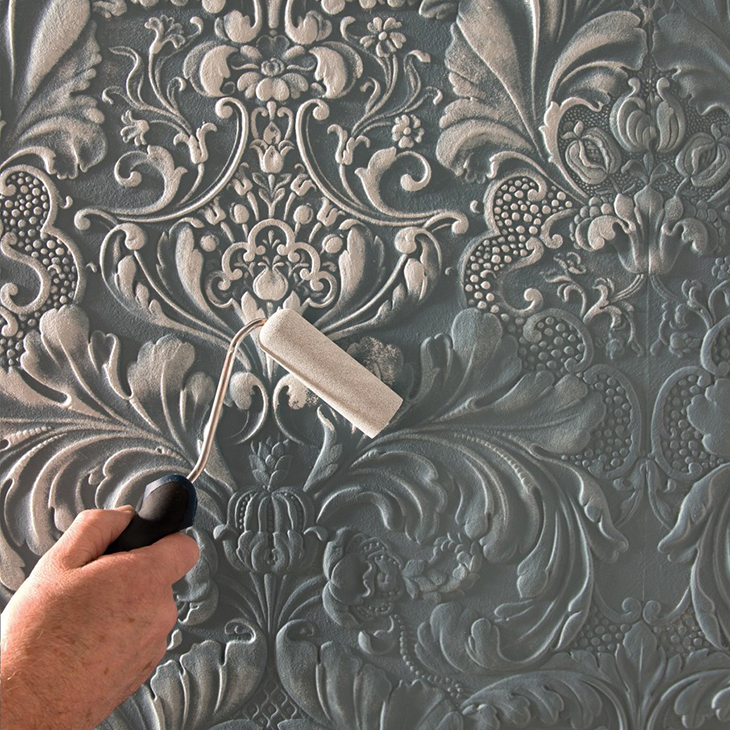 We also carry out restoration & repairs to damaged historical Lincrusta patterns which are no longer in production and have been fully trained on the restoration techniques and procedures. 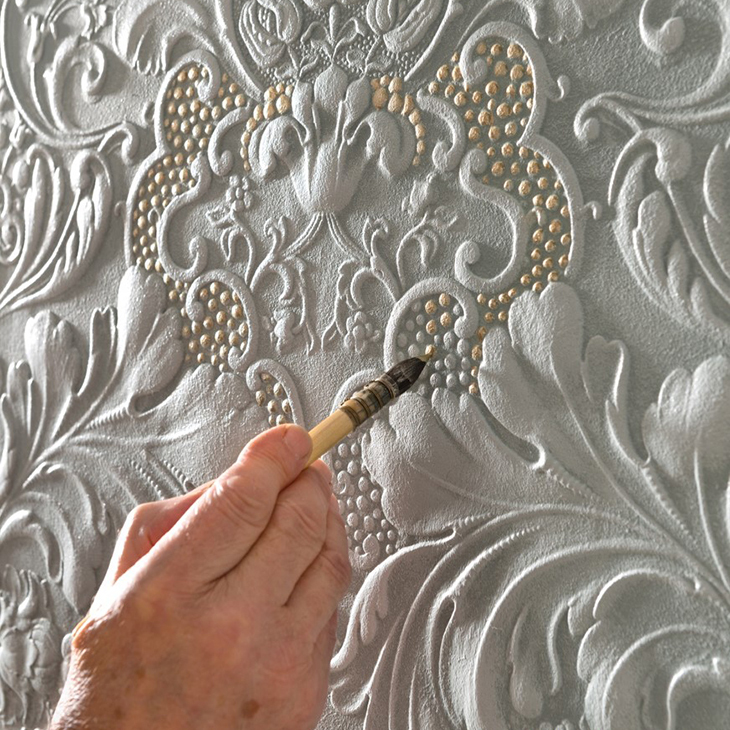 As well as offering a range of classic and contemporary designs to suit every taste, Lincrusta wall-coverings can be exquisitely finished to your every requirement. From high-end gloss and opulent metallic, to soft highlights and warm, welcoming matt finishes… allowing you to be as extravagant and expressive as you wish. Unlike any other product manufacturer within the decorative wall-covering and paints industry, we have access as certified installers to full technical support and back up. Whatever your project, we can provide full written specifications and finished samples for architects, designers, property developers and homeowners. First manufactured in 1877 with an instant success to a host of applications from royal homes to railway carriages. Heralded as the first washable wallcovering, it appealed to Victorians because of its sanitary properties as well as its durability and ornate effects. Over many decades, these beautiful crafted creations have been hung on some of the most notable walls, from the White House to the Titanic. A British invention, it was the brainchild of manufacturer Frederick Walton whose father pioneered linoleum floor covering in the 1860´s. Originally launched as “Linoleum Muralis”, it was subsequently re-named “Lincrusta-Walton” − Lin for Linum (flax, from which linseed oil is made) and Crusta (Relief), with the inventor´s name being added to prevent other firms using the same title.